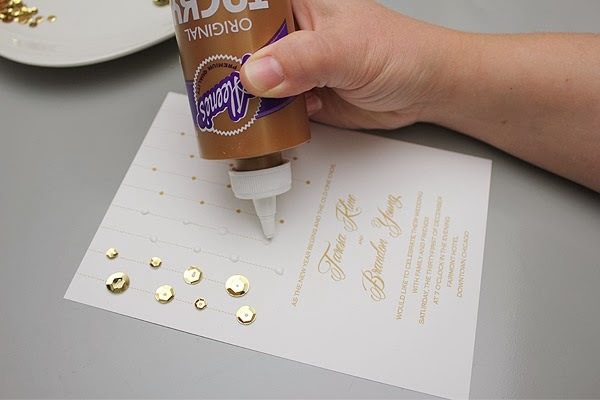 We have a fun DIY invitation project to share with you lovelies out there, submitted to us by Anne Skye at Download & Print. It's a little bit glitzy and a lot of glam, and we hope you enjoy the inspiration and tutorial! Hello savvy brides…My name is Anna Skye and I am the designer and founder at Download & Print. 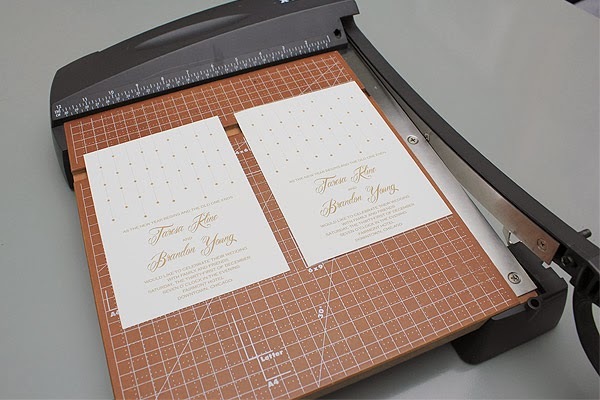 I started Download & Print after a grueling search during my own wedding planning for the perfect stationery that didn’t cost the Earth. After coming up empty handed I decided that no bride should have to go through what I did! 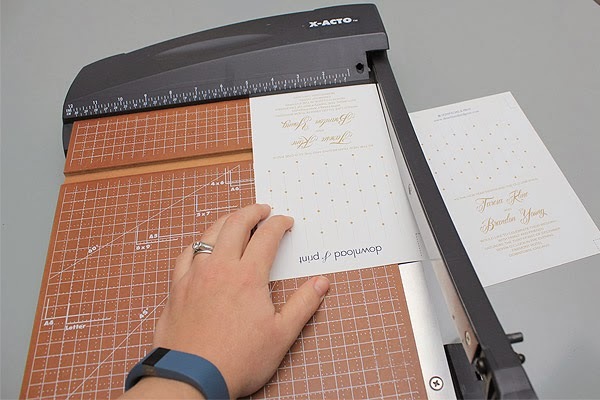 Download & Print was started four years ago, and throughout this time my mission has remained the same: To help brides create DIY invitations that look anything but DIY. I still about burst with excitement when a bride tells me how I helped in some small way to create her dream day. Today I am tickled pink to be able to share an exclusive invitation template with you. 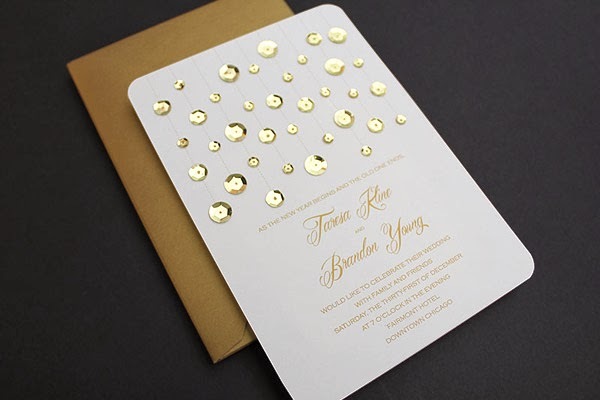 I call this invitation Glam Gold, and the inspiration came from the chandelier at the Winspear Opera House in Dallas. This short video shows the chandelier in its full glory. 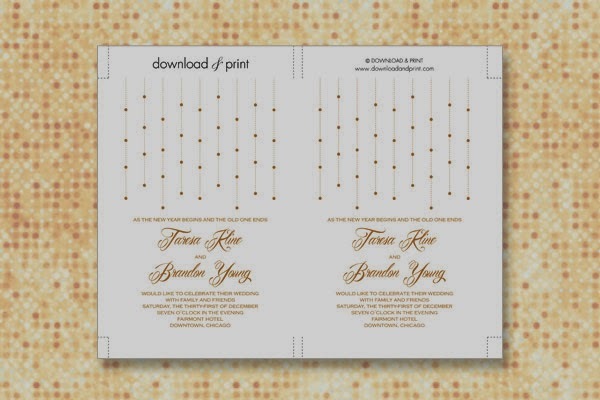 Grab the free template download, then follow along with the steps below to create this very glamorous invitation for yourself. 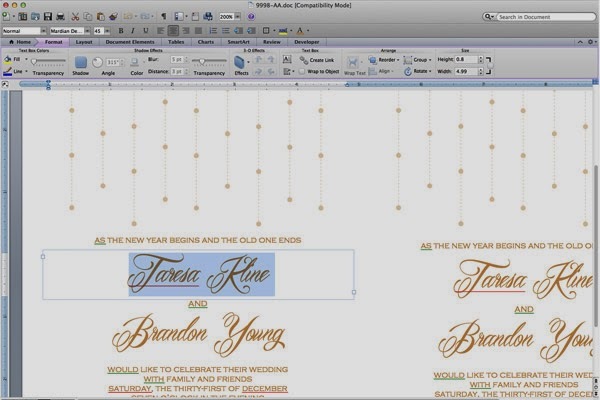 Download the template files and open in MS Word. 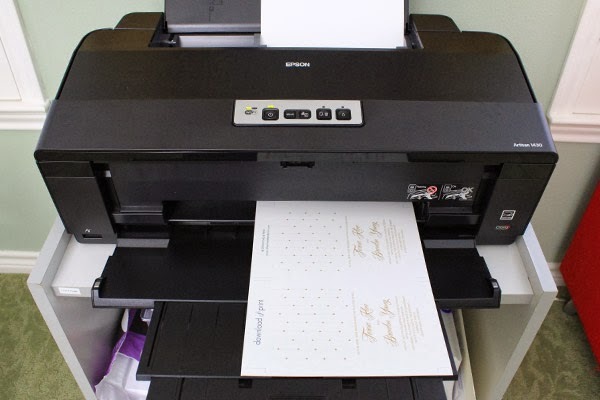 Add your wedding details and print with your home color printer. The script font used in the template sample is Maridian Demo and the information text is Copperplate Light, both of which are available to download for free. If you do not have these fonts installed on your computer Word will substitute different fonts. You can pick any fonts that you like. Et voila! 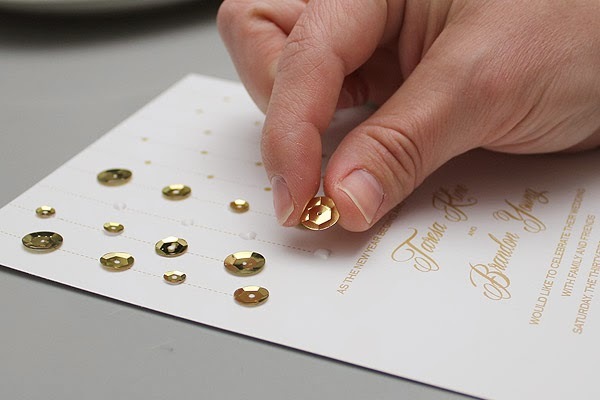 What a fun and simple project, that looks quite elegant! We hope you were inspired to do this yourself. 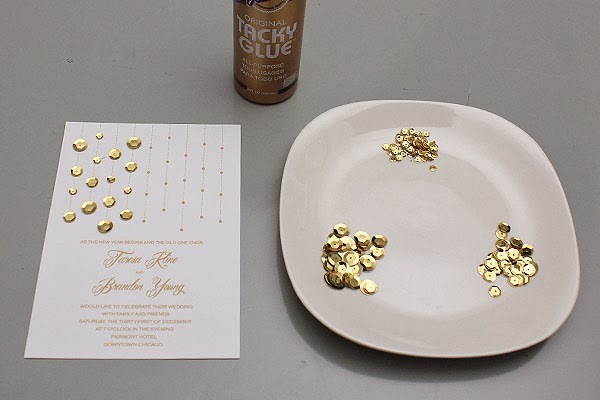 Let us know if you will be creating your own Glam Gold Invitations, and feel free to post the pics if you do! Our thanks to Anne at Download & Print for the DIY submission!